2016 Recaps and Welcome 2017! On the last day of the year I would like to review 2016 by dedicating a post about it. Here are some recaps. After 14 years of misunderstanding I have been reunited with a long-lost friend. We have renewed our friendship and have been keeping in contact ever since which I am grateful for. Je weet wie je bent. I had to opportunity to visit and explore London, Palermo, Catania, Sumatra, Bali, Lombok and Antwerp. Kindly browse the travel category on this blog for more info. In August my husband and I stepped in our 21st years of bonding by marriage. It seems not so long ago that we promised to be together in front of our family and friends. Watching my daughter grows from a little girl into a young adolescent. What an interesting transformation. One of the highlights being a blogger is meeting blogger friends offline. In January I came to London and Indonesia in my pocket guided me there. In July she visited me and we explored an art exhibition together in Arnhem. Thank you for your hospitality, let’s repeat this again soon. 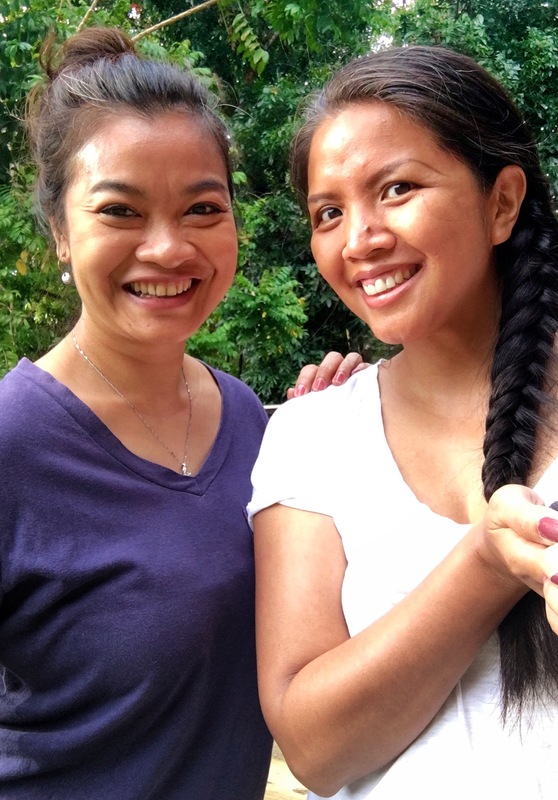 In August I had a special meetup with my blogger friend Noni in Bukit Lawang, Sumatra. The first I time I met her was in November 2015 in The Netherlands. Last summer Noni and her husband joined me and my family in the ecolodge Bukit Lawang during our Indonesian summer holiday to North Sumatra. We chatted the whole evening and the next morning. Noni’s husband patiently answered my daughter’s curious questions about almost everything; from primates to travel experiences, from ambitions to presidential election in the USA. Thank you for your patience answering these Noni & Matt. A few days later we spent an evening together by dining out in Medan. It was so nice to hang out with them. This picture was taken early in the morning after breakfast. I was set for the jungle trek. 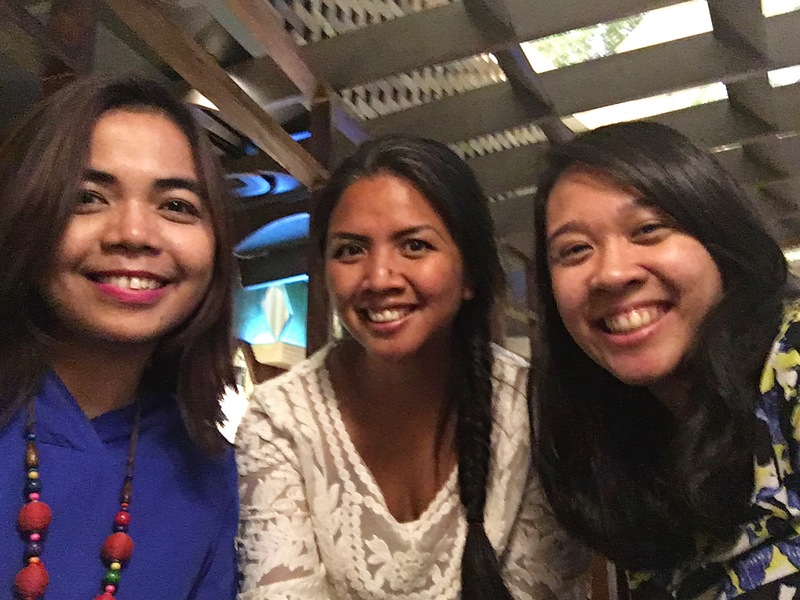 At the end of my trip I met the lovely Jo and Christa in Jakarta. They are exactly as I had imagined in mind; chatty and spontaneous Jo and mature Christa. We shared our thoughts and opinions about things we wrote and haven’t penned. 4 hours flew fastly and I got to say good bye. Finally I got the meet them after knowing them only through blogging. Thank you so much for your time girls. Oh and one evening Teppy and I met for a long chat about almost everything. In October I headed to Antwerp to meet Fe. She showed me hidden places there and treated me on delicous Flemish lunch and liquor. Bedankt Fe! When Prince, David Bowie, Maurice White and George Michael died, I felt devastated. Their songs were part of my youth. When they passed away it seemed like a part of my youth went off with them. I recal how often my sister played Wham’s Careless Whispers when she was brokenhearted. Or when I untiringly danced the night away with Prince’s hits. My first David Bowie track was Under Pressure with Queen. After that I began to explore his earlier works. I remember the first time I saw his video clips Let’s Dance and Blue Jean. And Maurice White, mister Earth, Wind and Fire. Through my aunts and uncles I learned about the band. Now I am married to a big EWF fan. My husband’s collection of EWF lps is huge. That evening whe heard Maurice White passed away, we listened to his classics; reasons and Brazillian wedding song. Ah, RIP to all of them! Honestly I don’t know where the world is heading this year and the coming year. Terrors and wars don’t stop, polarisation based on people’s will has divided some countries, religious tensions are rising. Despite that all I still cherish hope that one day, one day we have had enough of it all and take the lead instead. Now I may sound cheesy but I genuinely wish for a better world, a hate-free place where everyone can live side by side no matter what race, what religion and what sexual orientation they have. I hope this is not a utopia. I keep hoping for the better in 2017. Tags: 2016 recaps, welcome 2017. Bookmark the permalink. Selamat tahun baru Dila. Iya, semoga kita semua bahagia, sukses dan yang paling penting sehat selalu di tahun 2017. Aku doanya memang standar kaya gitu Dil abis mau doain orang jadi kaya atau gimana, kalo dia ngga sehat dan ngga happy sama aja boong kan? I also wish for the world to head towards a better and peaceful future in 2017. Yes, let’s hope to do it again somewhere in other part of the world. Happy new year Christa. Amin Jo! Siapa tahu bisa kejadian kan ha…ha…Happy new year! You are very welcome Aggy! Happy new year ya semoga kondisi makin membaik dan kita semua happy terus. Hug back! Happy new year juga mbak Yoyen, sukses selalu, semoga kita bisa ketemu juga suatu hari. Yes, semoga di tahun tahun selanjutnya dunia lebih baik dan damai…. Amin Fe, semoga kita semua sehat dan happy selalu ya di 2017 dan kedepan. Amin Sondang. Happy new year juga! Pasti diyakinkan kita tahun ini bisa ketemu ya. Senangnya bisa meet up dengan Mbak Noni dan yang lainnya.